COMSATS Institute of Information Technology always welcomes its visitors and guests. If you are planning to visit us, let us know before your visit so we can help you plan this visit as excellent as possible for you. 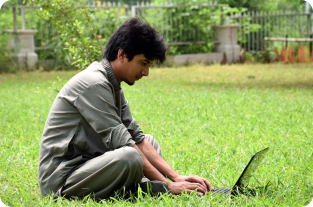 COMSATS Virtual campus will make this visit as memorable and useful as possible through arranging the tour to the beautiful campuses (both of old and new), meet its faculty.